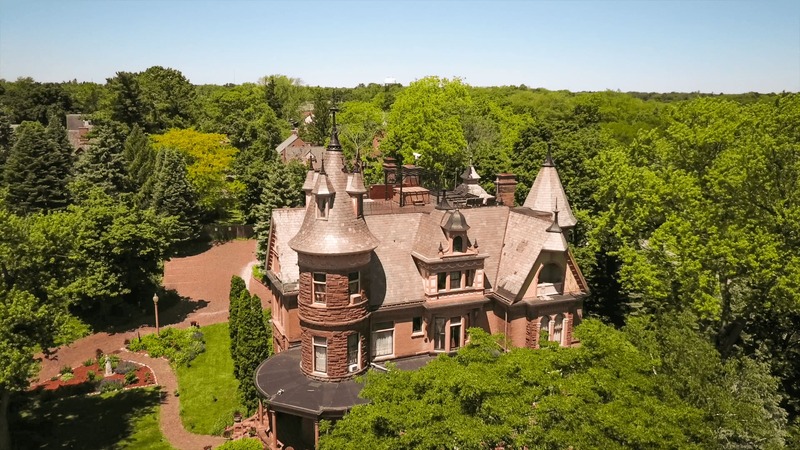 Established in 1895, the Henderson Castle is an exquisite piece of history located on the steep of West Main Hill overlooking downtown Kalamazoo, Michigan. 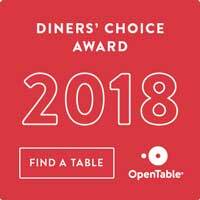 As a Bed & Breakfast in Paw Paw, Henderson Castle takes pride in offering a unique and memorable experience to everyone that visits the Castle! Built in 1895, this Queen Anne style Inn is registered on The National Register of Historic Places. This historic venue in Paw Paw MI has been featured on television and in magazines, books, and other literature, and is one of Paw Paw’s most treasured historical landmarks. 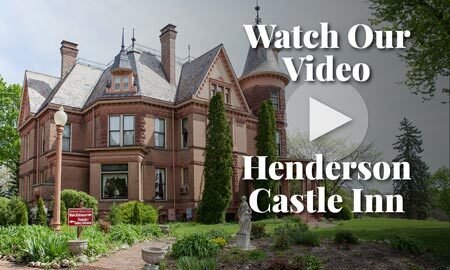 As you become familiar with the History of Henderson Castle, you quickly understand this is a place that you will want to tour the castle or experience for yourself! If you are looking for an elegant bed and breakfast in Paw Paw, MI, are interested in reserving a corporate event or private party venue, are looking for fine dining in Paw Paw, or are looking for a unique wedding venue in Paw Paw for your celebration, please feel free to give our Paw Paw event planners a call at (269) 344-1827. 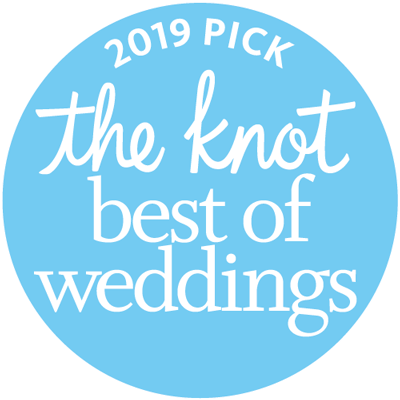 At Henderson Castle, our Paw Paw wedding planners and event coordinators look forward to helping you have a memorable experience at the Castle! the most popular inn in Paw Paw!